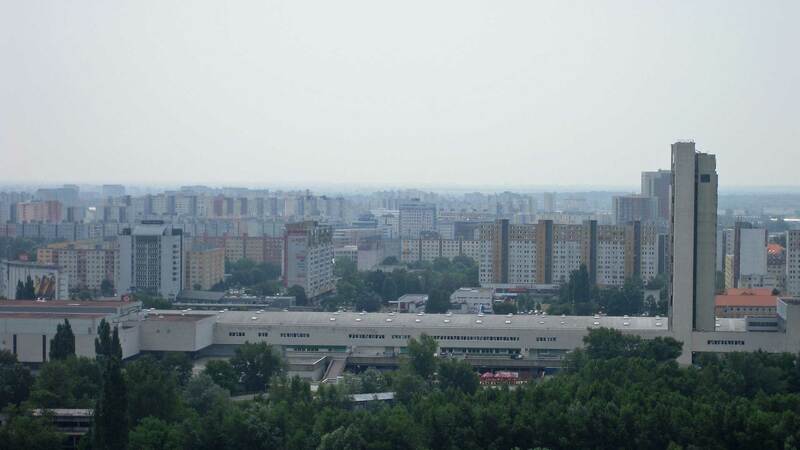 So-called Commieblocks, huge high-rise buildings, forms extreme concrete islands in many places in eastern Europe. Read why. 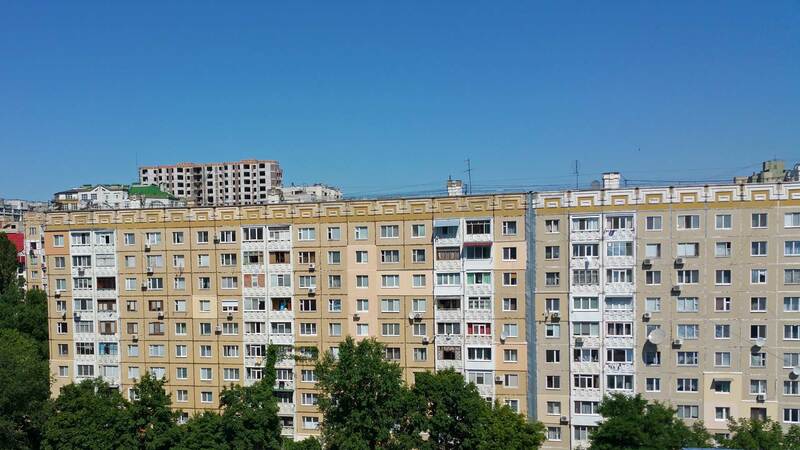 Commieblock is an expression in English for usually prefabricated, standard high-rise buildings built during the Soviet era. These are everywhere in Eastern Europe, not just in the larger cities. The joints from the prefabricated plates are clearly visible. The state considered that the Soviet citizens would live modern and identical. They began to manufacture millions of concrete slabs as a cardboard was mounted on site. The same technology was part of Sweden’s project of building 1 million apartments in 10 years, but the quality was significantly higher. 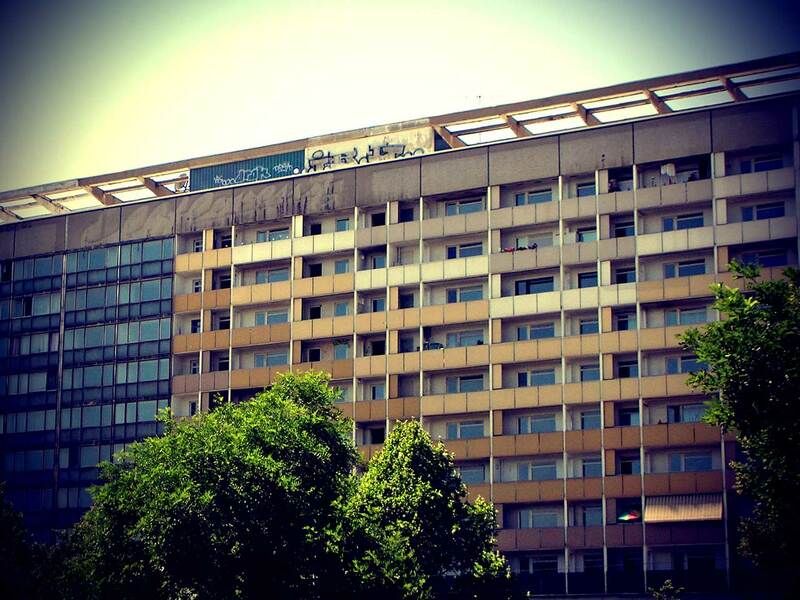 A positive side effect of these giant building projects (for the regime) was that urbanization increased as the population left the villages in the countryside. And a population in cities is easier to control than single resident citizens out in the country. 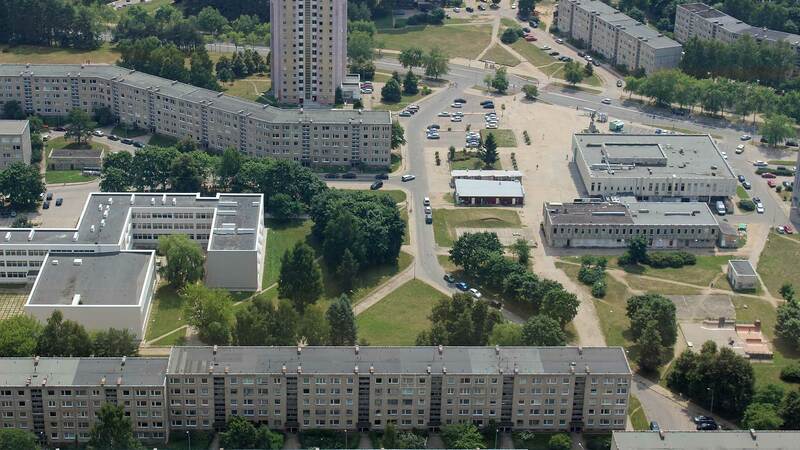 The newly built blocks was orginized in so-called microdistrict, which mean, all services you would need from the society could be found in the same block. There shouldn’t be any need to get into the city center on a daily basis. The square meters per person were limited. In Soviet Russia it was set to 6 m2 per person. Today’s avarage is 12 m2. Areas with commieblocks are more crowded today than in the Soviet era. 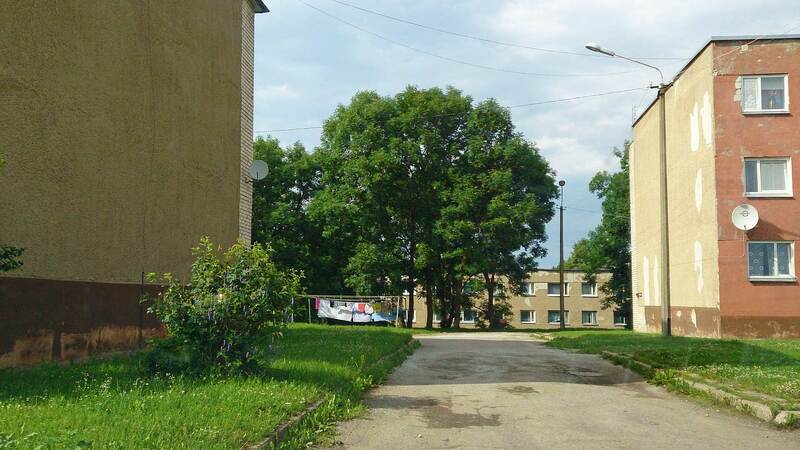 New roads for cars have been built between the houses where it before was areas with grass, to meet the demand for mobility of the residents. 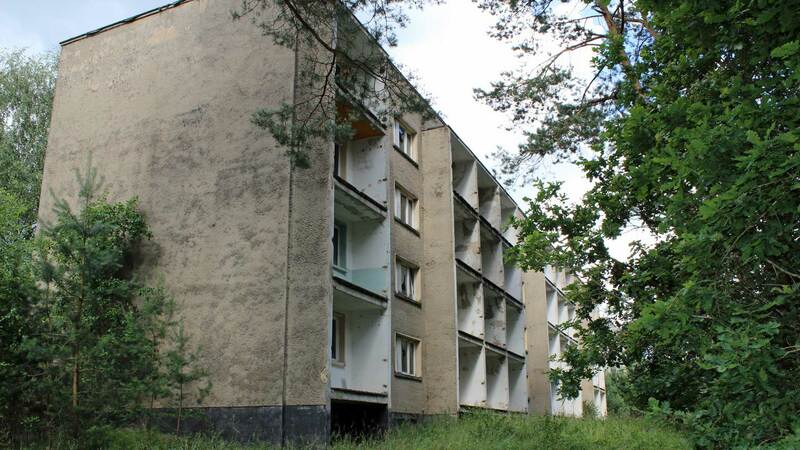 Smaller commieblocks in Estonian countryside. Today Commieblocks characterize the main picture of Europe’s eastern cities, most of which have retained their original design in social-realistic architecture. In some places, they tried to remove the gray color by painting the facades with happy colors. The quality of the housing was mostly bad. The only thing that was counted when the five-year plans of the Communist countries were evaluated were quantities. The population, however, thought differently. Even after a few years, the concrete could begin to tear apart. Typical view from a commieblock. 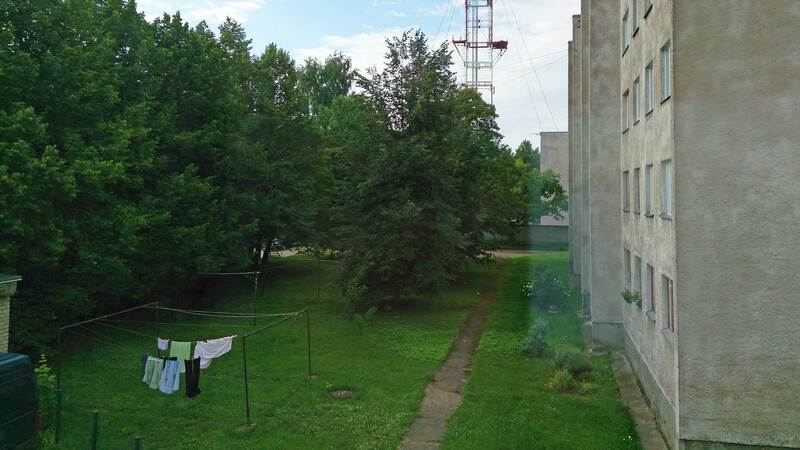 The laundry dries in the yard because no one steals it. 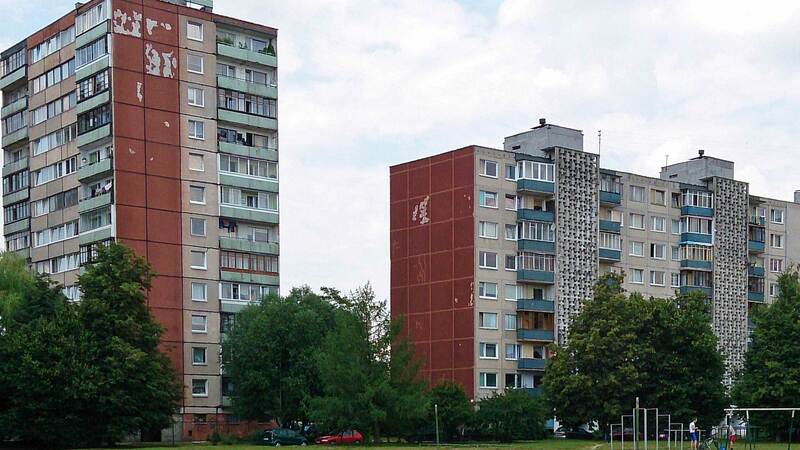 In East Germany, Commieblocks was called “Plattenbau”. Construction of the Plattenbaut after World War II started extra fast in Germany when virtually all cities were torn apart during bombings. In the new high-rise areas in concrete, the rent was subsidized by the state, which decided on how much a worker’s salary would be for housing rent. The share of salary varies, but not more than 1/10. Compare what people can pay today just to live somewhere! Millions of newly built apartments of poor quality meant to keep the rental market running. Usually, in East Germany, you signed up in a housing queue when you moved into a newly built house because you knew that it would deteriorate quickly. As a result, East Germany had the highest percentage of the world population in housing queue. 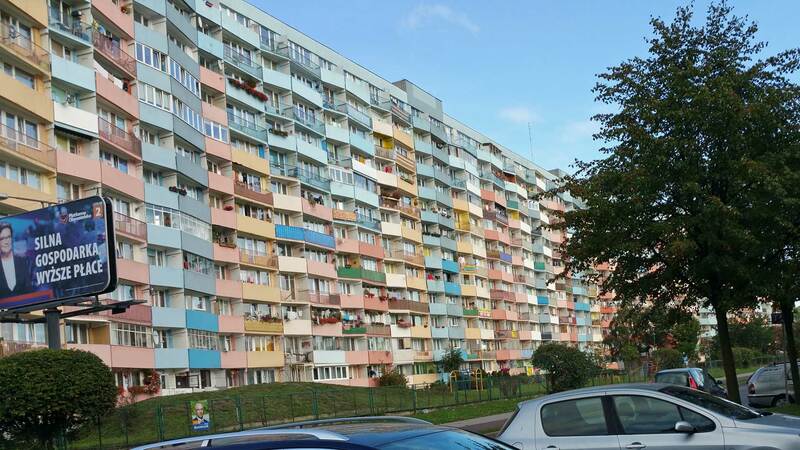 Central Europe’s largest collection of Commieblocks is in Slovakia’s capital Bratislava. In the area Petržalka, 120,000 people live. In many parts of eastern Europe, you will find these old concrete colossus. Some people who see them become nostalgic over a time when almost everyone had the same or at least the same hell. Others deny these monsters, reminiscent of a time of oppression and lack of freedom. 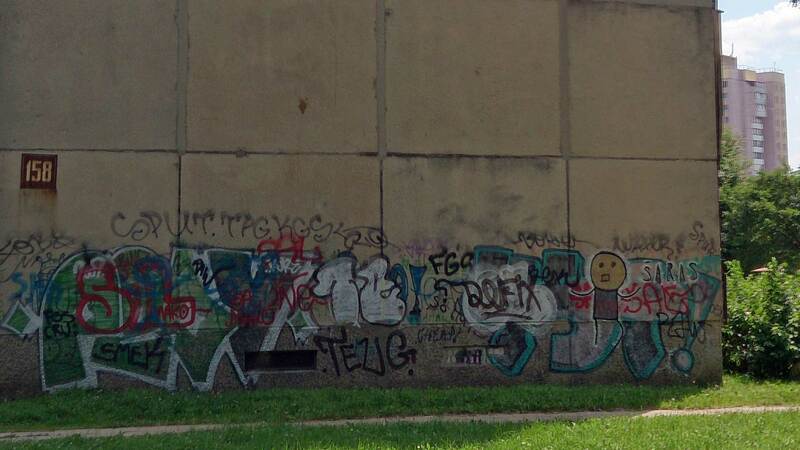 Actually, especially in Bulgarian cities, panel blocks are not at all bad or low quality. More so when refurbished. 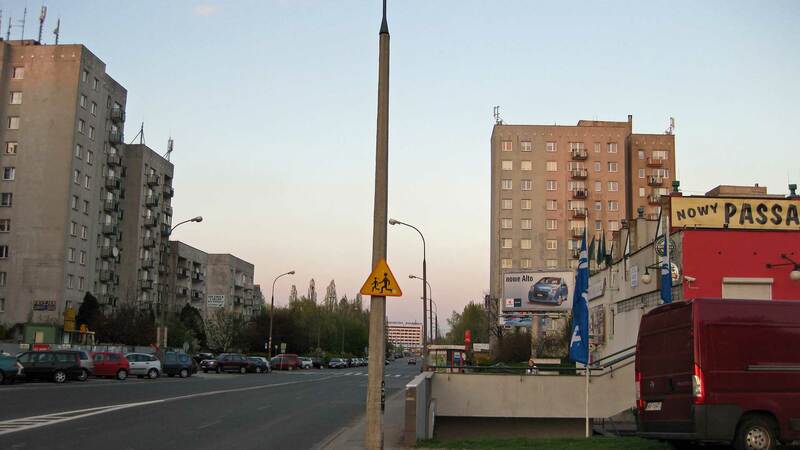 The most widespread type of panel block in Sofia is the BS-69-SF (БС-69-Сф) type. The sound insulation between rooms is slightly better than the average brick-and-concrete building from the same period (is is obvious that a 6-tonne concrete wall should have better sound insulation than a 25 cm brick wall, made of hollow bricks). There are also no troublesome soundwaves travelling the whole building and making a boom-like audible resonance when someone jumps on their floor, as often happens with traditional concrete buildings, where vibration easily travels the whole floor-slab of the entire building. The worst in panel blocks is their thermal insulation from the outside world – it is at least 30-40% worse than in walls made of brick masonry. But this is easaly and rather cheaply fixed by wrapping the whole building in a layer of external EPS or XPS thermal insulation. Maybe the best with the commieblocks here is that they are generally more spacious than any other type of common residential building. The 1-room apartaments have a floor area (clean, without the walls) of 44-46 sq.m. and the 3-room apartaments have an area of 92 sq.m. which is quite good. All apartaments also have a seperate kitchen of about 10 sq.m. The bathrooms have an area of about 4 sq.m. 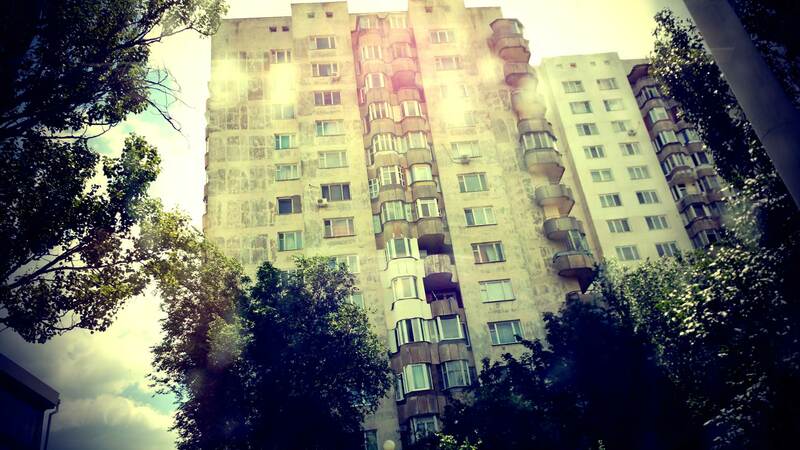 and most of the balconies – about 5 sq.m., which is quite generous. If for example, you need to buy a new apartament, that is now being built (usually a cheap brick-and-concrete building, made of bricks with very thin walls that have a very poor sound insulation, no seperate kitchen, often no balcony), and you want to buy a two-room apartament, you will end up with an apartament with the kitchen in the living room, a small bedroom where the kitchen should be and the same 42-48 sq.m. floor area, as the 1-room panel apartament. But you will pay for more than 60 sq.m. for it – because all the walls and balconies are included, as well as any common parts of the building. Again for comparison, the 2-room panel apartament has a living room (which might be used as a seperate bedroom), a bedroom, a seperate kitchen, bathroom, a corridor and one or two balconies. Its area (without the walls) is 66-68 sq.m. which you may actually use. 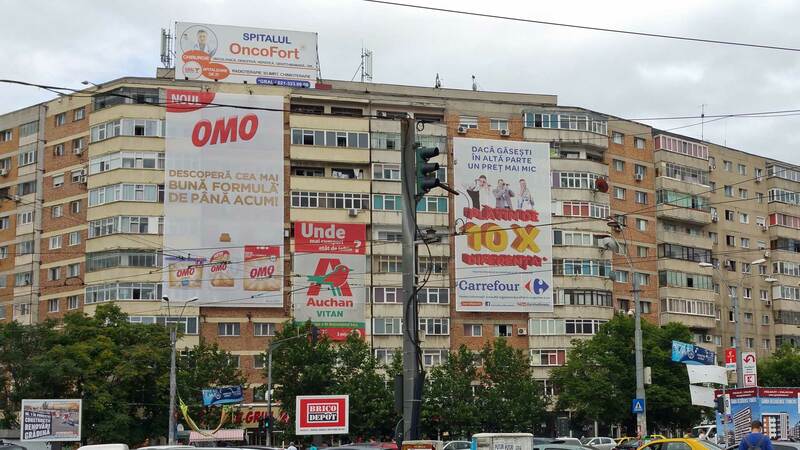 So, commieblocks are not that bad, especially here in Bulgaria. They are more comfortable and spacious than what is being built now, which is really sad. 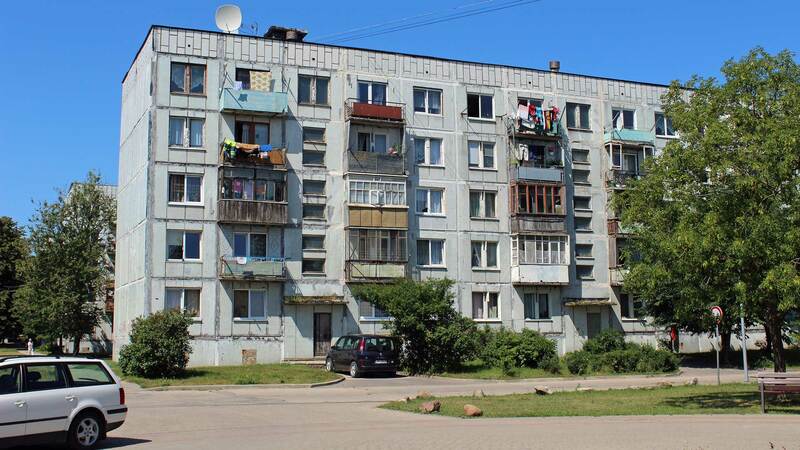 Also, it should be noted that many cities, for example the large cities in the US, generally have residential buildings that are so bad by design, that the commieblocks look like palaces afterwards (especially from the inside). Yes, the exterior of panel buildings is ugly, or when “dressed” with thermal insulation on the outside – they have just a boring square look. But this is probably their only real downside. And who cares – during the spring, in early April, the trees hide everything in their green embrace. Thank you! Your answer really impressed me! The facts you listed, wer very helpful to understand the construction of the commieblocks. I’m happy you took the time to write it down. Thank You! I wrote it to share some information, because it is very common for people from western Europe or the US (who also were victims of heavy brainwashing and propaganda, and still are) to tell us (through the press), how bad we lived back then and how awful was everything we owned (and to a large degree – still own), which is not exactly true, especially here (I can’t be so certain about the former USSR, where I think, it was at least a little worse). They do so, because that’s what they’ve been told and that’s what they believe. Actially, residential buildings here only look ugly from the outside, but are pretty much OK, esprecially when you take into account that almost everyone OWNS at least one appartament in these, and that the government back then invented a special type of credits for bying them, with a total profit of about 1% for the whole period. Actually, young families were encouraged by the state, to buy their own property. And this is normal, for me. Imagine now – it is something equivalent to being able to buy a new 90 sq.m. apartament in a large city, with a credit, that would eventually cost you, say 42, 000 EUR. So, everything has its pros and cons. Nothing is perfect :). The only problem with it is that each family could only buy one appartament, and had to wait for it to become available. But the state built these very fast – in the period 1960-1990, they build about 19,000 panel buildings, and about twice as much, by other methods. This makes about 3,500 000 appartaments. It is not bad for a country with a population of 7 million.